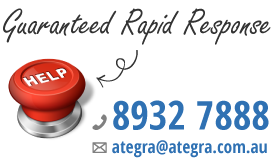 Ategra is a professional IT Support company who specialize in providing reliable and inexpensive support to small and medium-sized businesses throughout the Topend. Your business success depends on your IT infrastructure. Slow networks and downtime costs affect your bottom line. By taking a proactive approach to network management, Ategra does not only keep your network up and running, but running effectively and efficiently. In a nutshell, Ategra delivers increased performance, security and reliability to your entire network. Maximim benefit for your investment. IT management & network support services. Without Worry-Free IT Managed Service Plan, our experienced qualified engineers who can fix your IT problem will address your computer support problem immediately or we call you back within sixty minutes 96% of the time. We know you don’t want to waste your valuable time waiting for your computer to be fixed. Our remote network IT support services are the answer to this. This network support service allows your computer network to be accessed remotely within minutes, if we cannot, an engineer will be sent out the same day. Know that we will answer any computer support & maintenance questions you have so you clearly understand. You will not be made to feel uncomfortable by our team of IT support experts with unfamiliar technical jargon. You can plan on no damage being done to your network and data. We evaluate first to see if there are any potential risks before we begin computer maintenance services. Any risks will be clearly explained. An added measure in the process is to synchronize and back up your data before we proceed any further on your systems. As your trusted company to perform network services, or to complete a project, we won’t surprise you with unexpected charges as some incompetent or unethical technicians will. We make no excuses. We guarantee the completion of your IT support project ON BUDGET and ON TIME which will ultimately lead to success for your company. Your invoice will be accurate and completely spelled out – That’s Our Promise. With our Worry-Free IT Managed Service Plans our IT consulting invoice will not present “mystery” charges.